Solid state storage is more prominent than ever, or so the latest awareness and usage statistics would indicate. 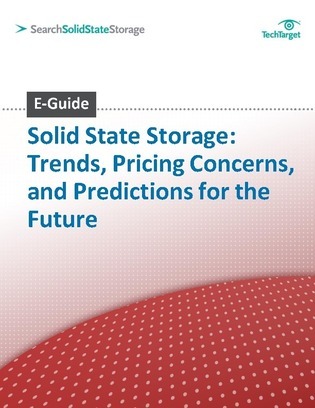 Moreover, a recent study anticipated a significant surge in leveraging solid state storage in some form today. Take a look at this expert e-guide to discover the key drivers behind state storage deployment and reveals the most common types of implementation. Learn whether pricing and performance still weigh heavily in SSD purchasing decisions, if the days of hard disk drives are numbered, and how automated tiering can support and supplement this technology.